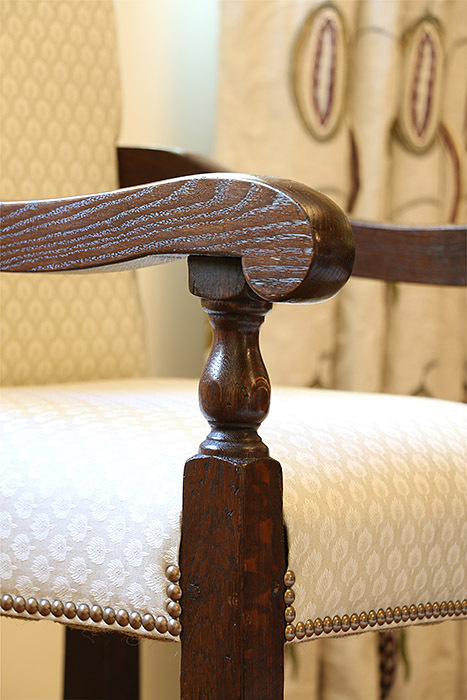 Detail view of a simple classical baluster turning on the front legs of our clients bespoke upholstered period style armchairs. We actually used one of their original antique dining chairs as our inspiration for the shape and simplicity. Click on the link below to discover how we overcame a common problem of using chairs with original early oak tables.